I tried low carbs a while back….the problem with no/low carb diets are it’s shocking how much carbs are in all the foods we love. The baked potato on the side makes a steak dinner….a side of cauliflower just ain’t the same. I promise that cauliflower is even better! Right now, I rather have cauliflower mash rather than a potato one! Plus, you can add 50 grams of cooked turnip in there, and mash them together with butter, coconut milk or lactose-free sour cream, salt & pepper. This makes for a more authentic “potato” taste. The main reason why you can’t appreciate most of the veggies aside from potatoes/rice/corn/grains is because your taste buds are destroyed because of sugar. The staple of the modern Western diet revolves around sugars/starches. But taste buds can regrow within 30 days! I can now eat 99% cocoa dark chocolate for example, while in the past I could only eat super-sugary milk “chocolate”. 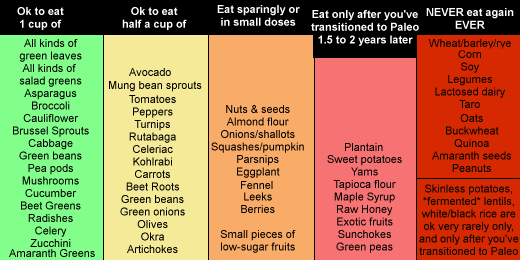 When your taste buds regrow, you can really appreciate the rest of the veggies, like broccoli, cauliflower, zucchini, collard greens and all others that we were used to eat in much smaller quantities than potatoes/rice/corn/bread. After 2-3 months on a ketogenic diet, a piece of apple will taste like a birthday cake! Then the problem is….effort. You have to do 10 things to make a potato substitute, vs just cook the potato. I don’t have your problems(not trying to minimize them), so it’s too much work for not enough benefit in my case. Granted I have my own issues, but they’re mostly the basic ones of over eating fast food. I’m at an age now where my metabolism is slowing down and it’s so easy to put on weight. I saw “Fat,Sick and Nearly Dead” a while back and I’m going to try Juicing for a while. For me, it’s all about calories in vs out. I’m a teacher by profession, and in the past 20 years, I have seen the number of children diagnosed with adhd and autism increasing in a very dramatic way. Most of them take medication with a molecule similar to cocaine. This is what the pharmaceutical business, docters included, is all about: make children from day one dependent on medication, and keep the population stupid, while they are making heaps of money. Most of these kids could be healthy again, if they just stayed away of all sugary, processed, unhealthy food.